I have never bought a can of pumpkin. 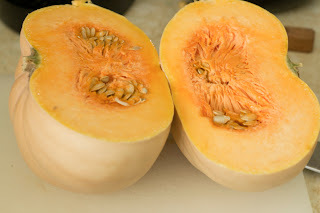 Before I started this blog, I just had never cooked with pumpkin, and when I did start using it in baking, I had nice, fresh "potirons" available to me in the French markets. 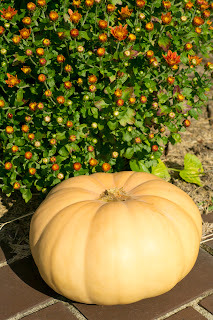 I learned how easy it was to make my own pumpkin puree and have never looked back. Every fall, I stock up on pumpkins, make the puree, and then freeze it in one-cup portions to use in baking throughout the winter. I love fresh pumpkin for its taste and vibrancy, so I thought I'd share how I make my own puree here. You need to start with a baking pumpkin, not a carving pumpkin (which can have a bland flavor). Cut your pumpkin in half. Scoop out the seeds and membranes. You can save the seeds to roast if you'd like. 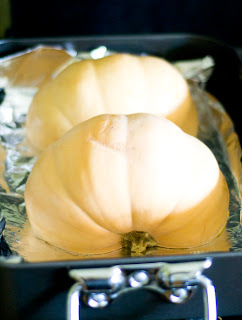 Place your pumpkin halves cut side down on a baking pan. I like to line the tray with foil since the sugars in the pumpkin can get kind of messy when roasted. Place your pan in a 350 degree F oven and bake for about 45-60 minutes, depending on the size of your pumpkin. 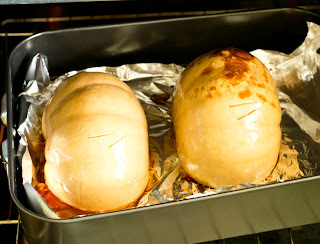 The pumpkins should get a little browned on the skin side. You'll know they're done when a sharp knife slides easily into the flesh. 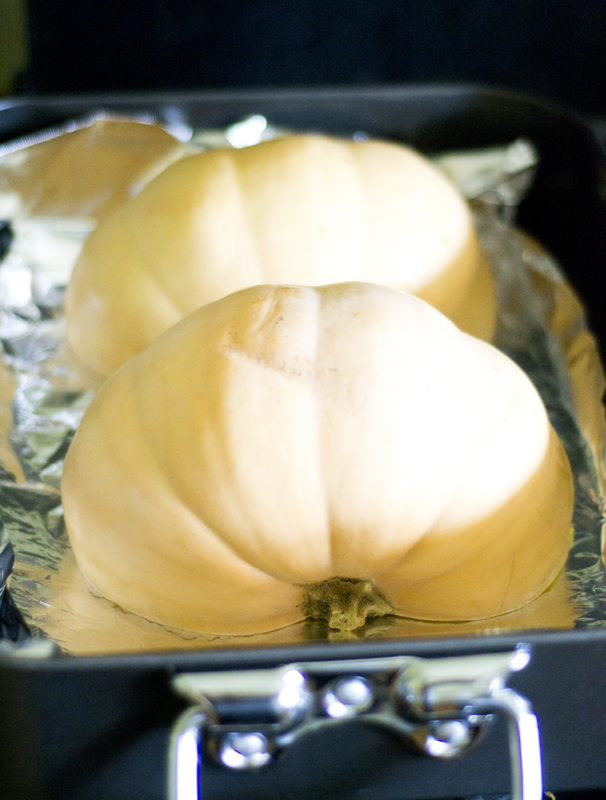 Take the pan out of the oven and let the pumpkins cool. 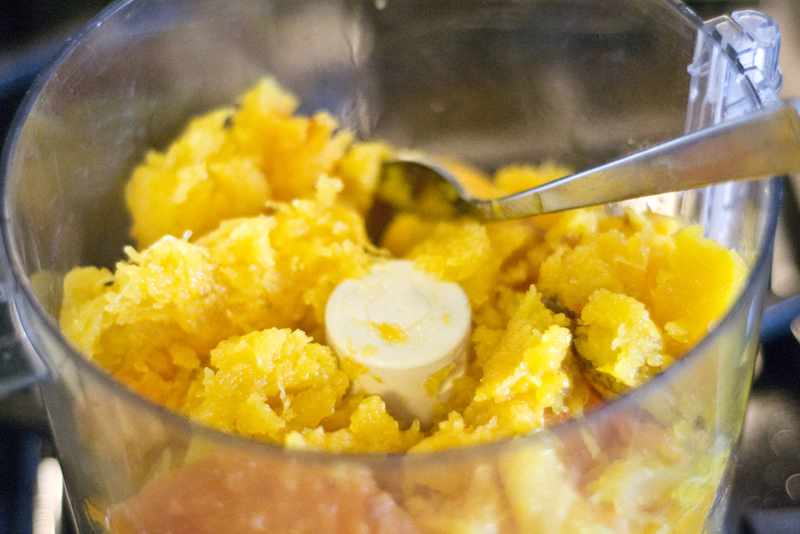 Scoop the flesh out of the skins and place in a food processor. Blend until completely pureed. 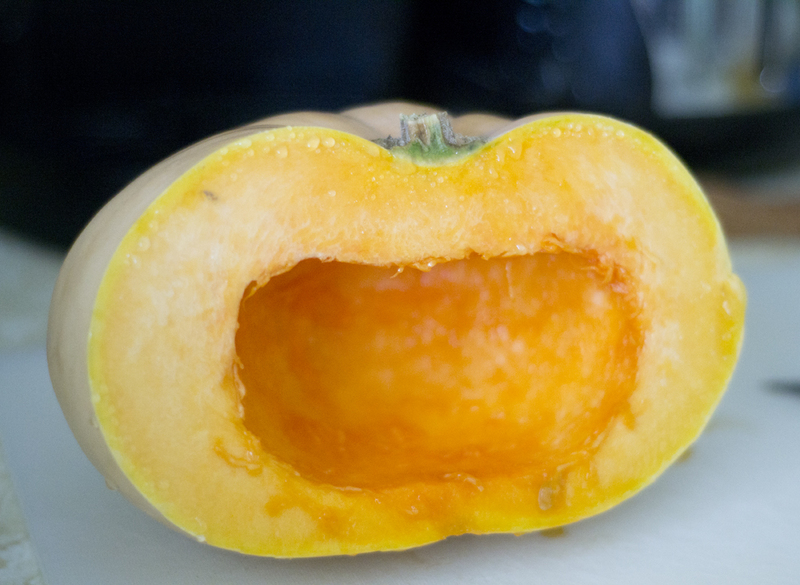 Depending on your pumpkin, the puree may be watery. If that's the case, layer a sieve with cheesecloth or coffee filters and spoon the puree into it. Let drain over a large bowl, covered, in the refrigerator for several hours until your puree reaches the desired consistency. Once you've pureed the pumpkin, you can freeze them in freezer bags, freezer-safe plastic containers or freezer jars. Just defrost what you need when you're ready to use it! What do you use the roasted seeds for - as a snack, like nuts? And ... how long do you roast, and at what temperature? Do they need to be washed and laid out flat? So many questions! Thanks if you have time to answer. 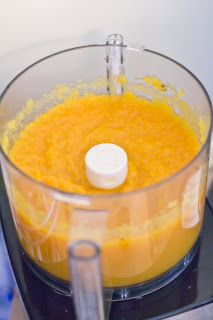 It’s my pleasure to read this blog post How to Make Fresh Pumpkin Puree. Your blog post is very useful. I have been looking for this knowledge for many days. I think highly of you efforts. I will come here again to check new keep posts. Thanks.